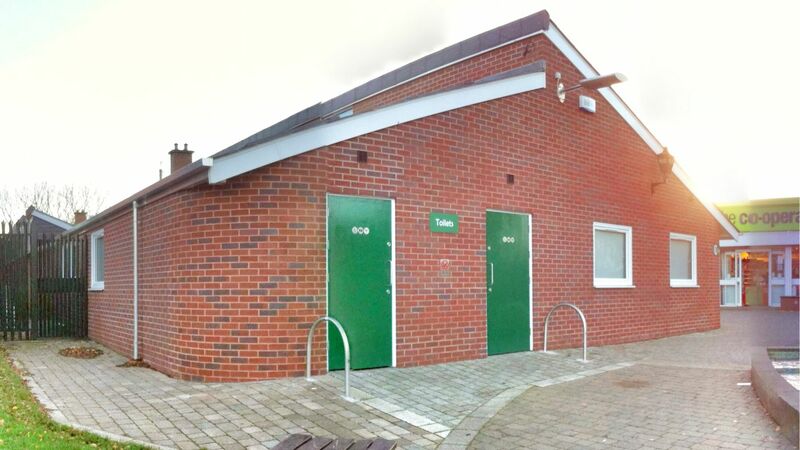 Charlton Kings Parish Council obtained planning permission for a single storey rear side extension to provide additional office facilities whilst also improving the welfare services to the community. The extension will serve the local community and act as a first port-of-call for many enquires about Local Government services. 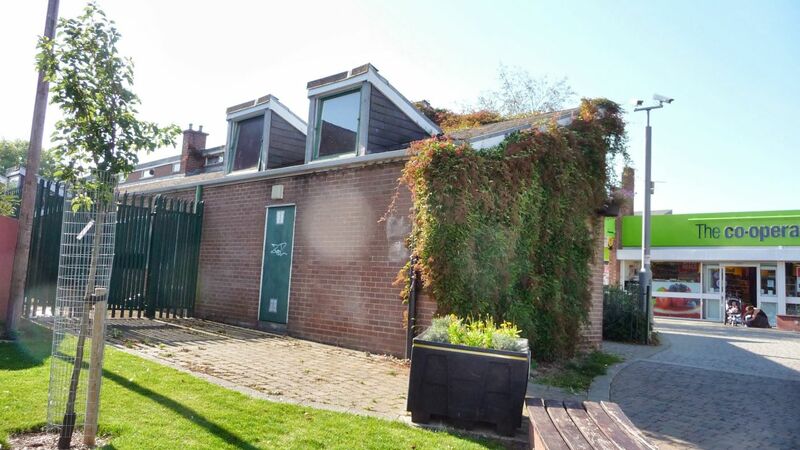 Photo of the existing building before building a side and rear entension prior to submission of a planning application to Cheltenham Borough Council. 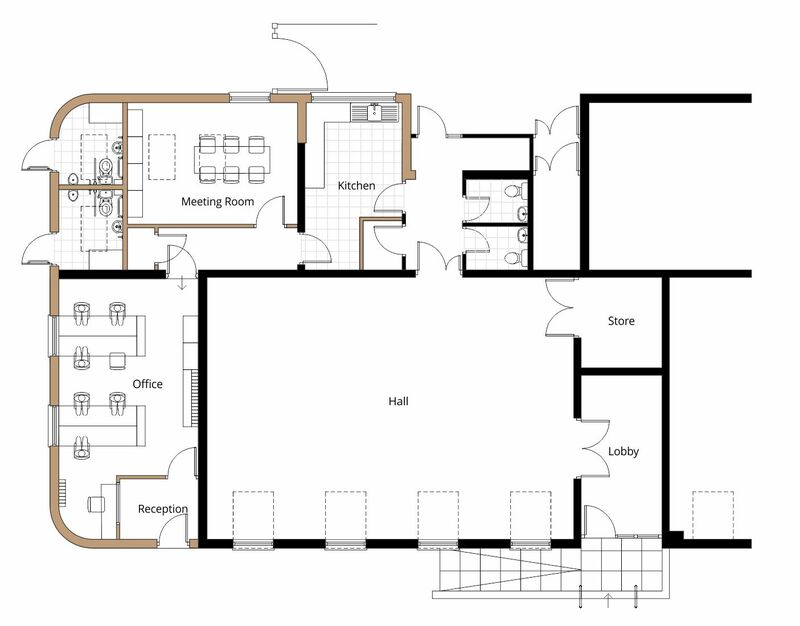 Measured building survey drawing illustrating the extent of an existing floor plan, required as part of a planning application to Cheltenham Borough Council. 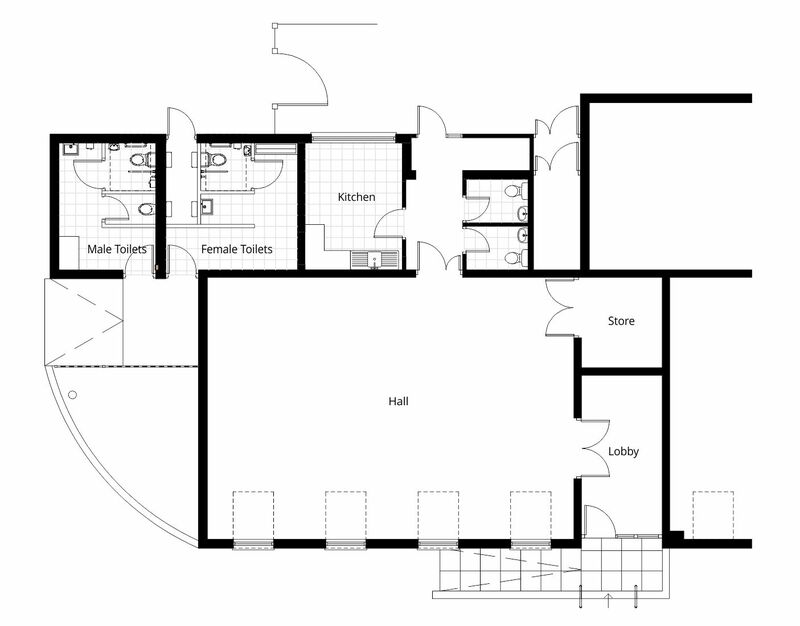 Proposed floor plan drawing illustrating the extent of the side and rear extension with new public toielts, offices and kitchen required as part of a planning application to Cheltenham Borough Council. 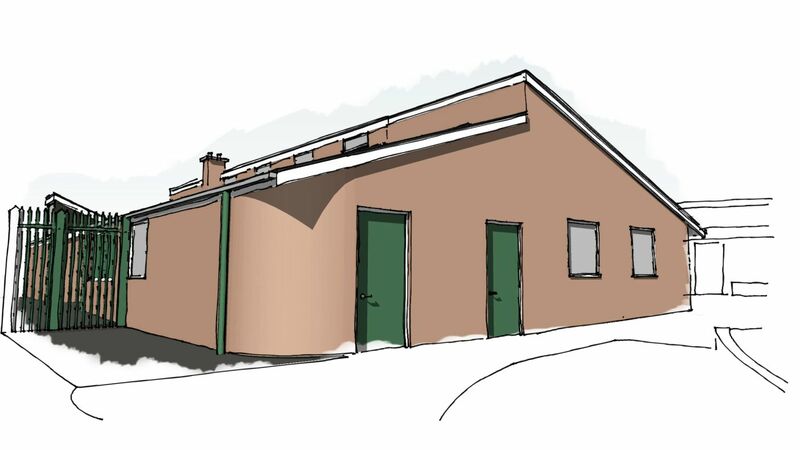 Proposed 3D sketch illustration of the proposed side rear extension for discussion prior to submitting a planning application to Cheltenham Borough Council.